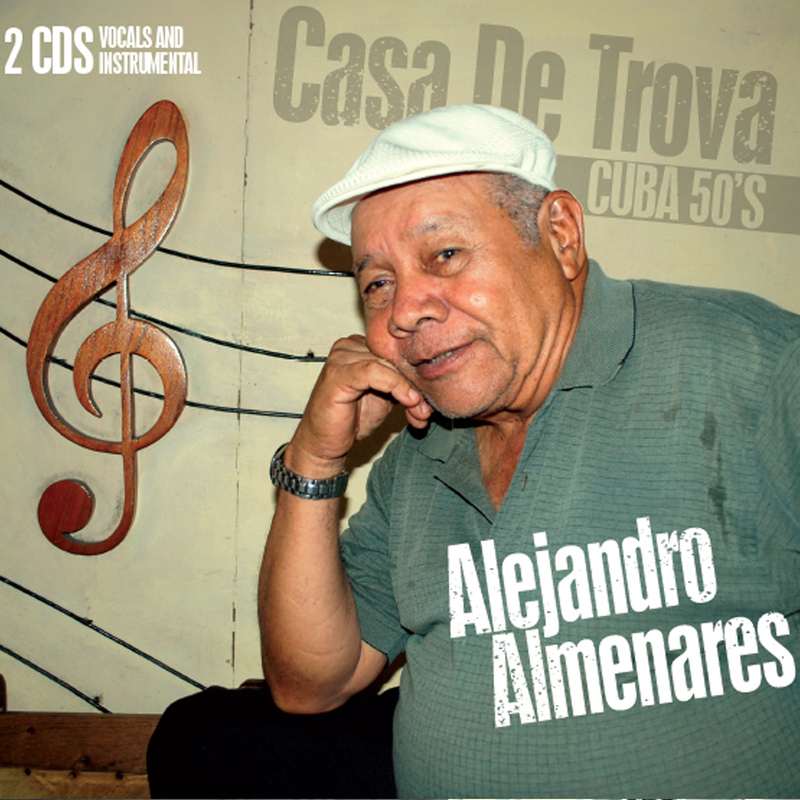 Alejandro Almenares at 76, still with much twinkles in his eyes! It may have taken almost 1000 years for the troubadour tradition of 12th Century Occitan to reach Cuba, via Spain; there to be substantively transformed and to have its polyphony melded with Afro-Caribbean polyrhythms. However, its influences may have been richer and more complex than that: some have suggested that the origin of the troubadours may date back to Biblical days and to King Solomon and The Song of Songs. Clearly, though there is, as the great Ezra Pound showed, the influence of the Arabs and their influence after the conquest of Spain in the harmonic inventions and in the singing style—in that a body of song of comparable intensity, profanity and eroticism existed in the second half of the 9th Century—something that has continued down the centuries in and the boleros of the trova singers. 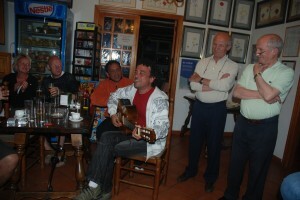 But more than anything it is the importance of the trova tradition as one of the great roots of the Cuban music tree. In the 19th century a group of itinerant musicians known as trovadores moved around Oriente, especially Santiago de Cuba, earning their living by singing and playing the guitar. According to one writer, to qualify as a trovador in Cuba, a person should sing songs of his own composition, or of others of the same kind; accompany himself on the guitar; and deal poetically with the song. This definition fits best the singers of boleros, and less well the Afro-Cubans singing funky El Guavabero or even guaguancós and abakuás Chicho Ibáñez. Probably, this kind of life had been going on for some time, but it comes into focus when learning about named individuals who left their marks on Cuban popular music. Trovamusicians have played an important part in the evolution of Cuban popular music. Collectively, they have been prolific as composers, and have provided a start for many later musicians whose career lay in larger groupings. 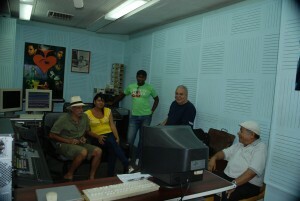 Socially, they reached every community in the country, and have helped to spread Cuban music throughout the world. José “Pepe” Sánchez (1856–1918), is known as the father of the trova style and the creator of the Cuban Bolero. The first, and one of the longest-lived, was Sindo Garay, born Antonio Gumersindo Garay Garcia (1867–1968). He was the most outstanding composer of trova songs, and his best have been sung and recorded many times. But there were others of great importance too. However, it was Sindo Garay, Rosendo Ruiz (1885–1983), Alberto Villalón (1882–1955) and Manuel Corona (1880–1950) who were known as the four greats of the trova, but José “Chicho” Ibáñez (1875–1981) should be regarded as of equally high stature. There are many more important trovadores who continue this rich tradition even until today. Alejandro Almenares and Pedro Luis Ferrer are among this illustrious line of musicians. Both have superb releases in 2014. It’s like we say, we don’t venerate them because they’re old, we venerate them because they rock. Almenares is a Cuban national treasure that’s been at it for over 50 years. He’s been in so many bands he can’t remember them all, but he’s had his share of hits and mainstay compositions to make him known in Latin music circles as a top shelf cat. 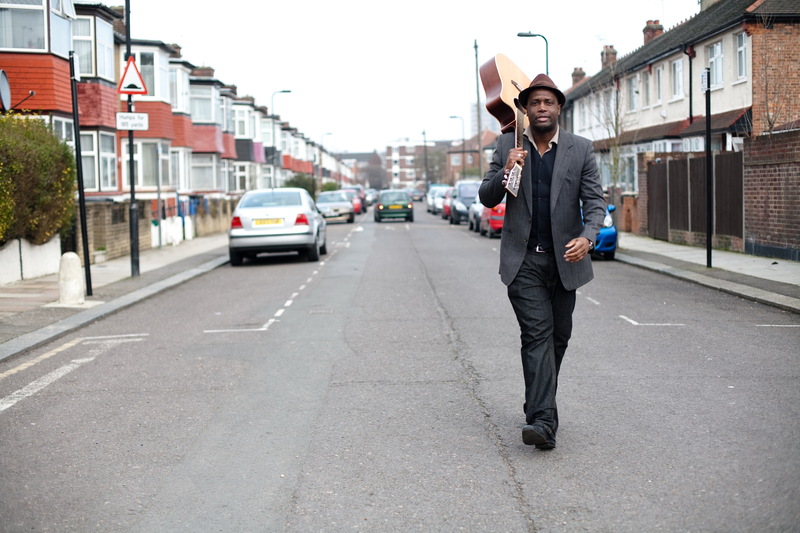 Now 76 and pretty much giving us his first taste of his work, this cat is the sound of a Cuba that’s slipping away but preserved here in such grand style you’ll be sorry you didn’t discover him before. Far from being Ricky Ricardo music, this has an unvarnished ethnic edge that any gringo can relate to because it’s about the music first and foremost. Absolute killer stuff jazz and world beat ears will utterly flip for. And you get two discs worth of this treat here. Check it out. 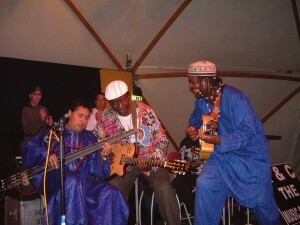 Bomba, a lively Afro-Puerto Rican musical genre is the focus of the album Agua del Sol by Hijos de Agüeybaná. The outstanding group presents a wide range of bomba forms, from the very traditional to salsa, jazz and electronic explorations. The album opens with ambient an electronic music and drums piece tiled Saludo al sol (greeting to the sun). From there, Hijos de Agüeybaná quickly shift to acoustic bomba, using barrel drums and the characteristic call and response vocals. 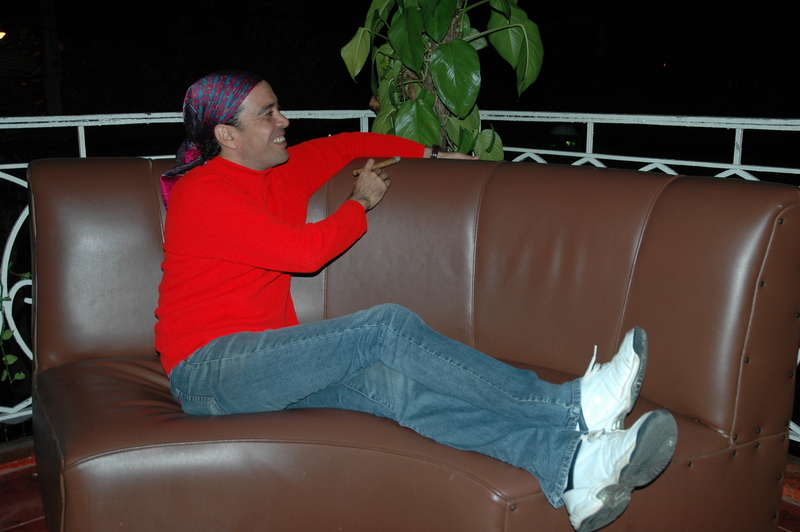 Drummer, multi-instrumentalist, and researcher Ángel Luis Reyes grew up in New York City and discovered bomba at a photo shoot as a young man. “I thought it was African music. I was stunned to hear it was from my island, from my home,” he recollects. 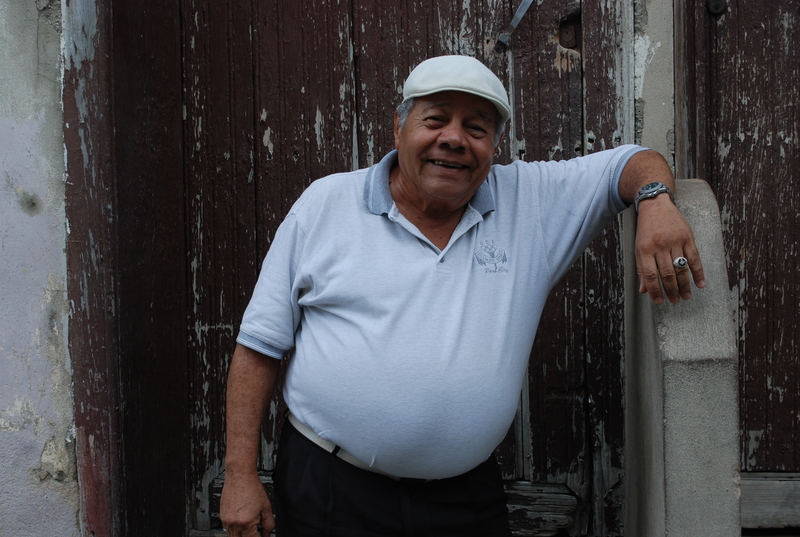 Ángel Luis returned to Puerto Rico and interviewed a lot of elder musicians and dancers to learn more about bomba. “Ask any elder and they will tell you: Bomba is respect. You have to have respect throughout, for the drums, for your partners,” Ángel Luis explains. What’s really exciting about Hijos de Agüeybaná is that most of the songs are original compositions by Otoqui Reyes Pizarro. This means that fresh new songs are being added to the bomba music pool. 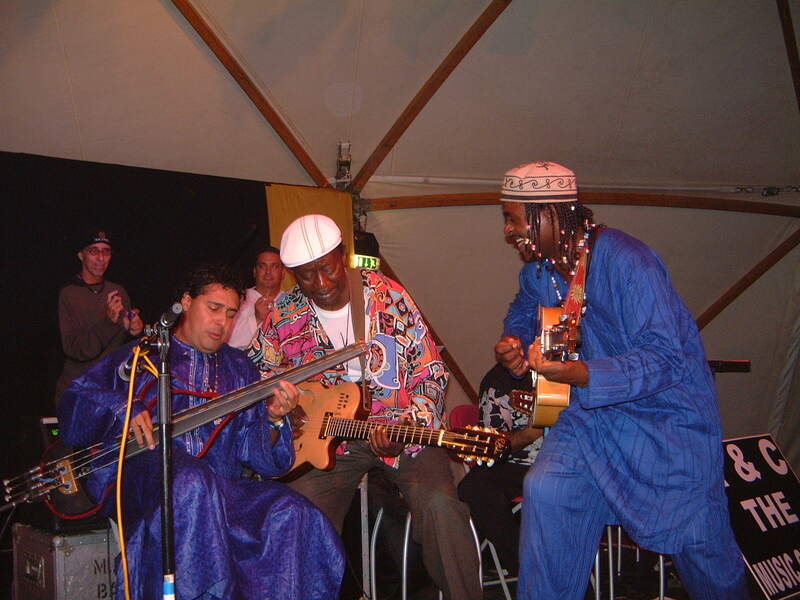 Agua del Sol is an impressive album, full of irresistible rhythms that celebrate the African roots of bomba. We hope you will hear the music during the summer of 2013. -When he was born and who were his parents? -What happened from birth until 1959 and after that date to the present? -With whom did you touch? -What is your relationship to “La Casa de la Trova? “My father founded “La Casa de la Trova” alongside Virgil Palay, of course I was there I also founder, in this place I grew up listening to and playing music troubadour and Sonera of Cuba until today, I think I’m the last founders of the troubadours living …..
-When you play in “La Casa de la Trova”? -Can you tell me your family? City of Santiago de Cuba, October 2012. Founded in 1994 the band incorporates a traditional septet instrumental format: acoustic bass, tres, guitar, trumpet, congas, bongos and an outstanding singer with vocal qualities that permit endless possibilities. 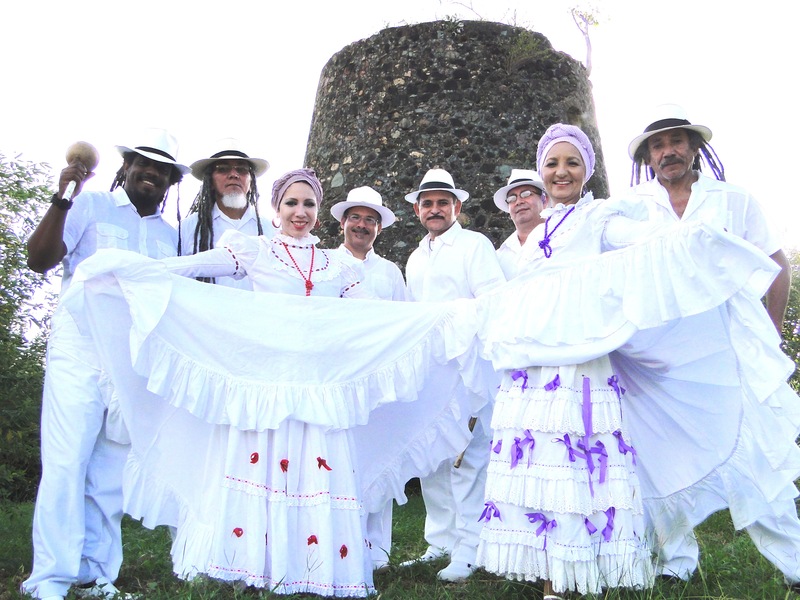 They have been hailed as the new force in Cuban music, eclectically mixing elements of highly charged son, salsa and other Latin rhythms and influenced by traditional and contemporary music from around the world. Jovenes Clasicos del son have managed to create an unmistakable and unique sound. A sound they can call their own; an original sound. They were brought together by the visionary Ernesto Reyes Proenza, better known as ‘Palma’. He is their charismatic director who carefully sought out not only the most outstanding young musicians in Cuba but also those with the capabilities, passion and conviction to develop a new Cuban sound.The vision and objective adopted by all the band members in many ways have mad them stand out from the current mainstreaming of Cuban music. ‘Hard Hands Lolo’, their conga player explains: “We don’t break the formula of traditional music but we do add a modern touch to it. We are seven young men looking through the wide open door of Cuban music and we want to make history without modern technology, without a big horn section, without tacky or commercial lyrics” Carlos interupts: “It is conscious music. It has pedigree. It comes from lots of roots. 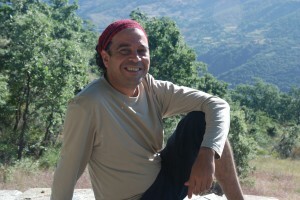 We have managed to make new son and Jovenes Clasicos Del Son for me represents the side of every musician’s heart where one does what one wants – we have freedom.”Palma, their director, explains the musical structure: “We are really into satire but we chose the tracks we are going to include in our repertoire very carefully. We play songs about our contemporary situation. Fruta Bomba has a strong issues based concept – issues from Cuban life – fun issues but with a twist. We love double-entendres, Nueva Trova and slang. But clean slang. 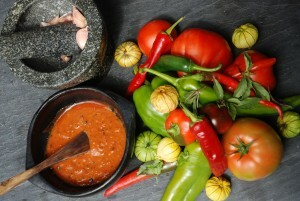 We also love tp ‘hacer descarga’ or jam. I go to see lots of jazz and theatre productions. I learn a lot from them and this is apparent in the album.” Sergio continues: “We have included some very varied pieces in Fruta Bomba; a homage to the old style son revival, some nueva trova also and above all lots of carribean music. That’s essentially what we play: Carribean music. We have a track dedicated to the Paw Paw fruit – a very exotic fruit from the Americas. The lyrics are full of play-on-words, but don’t get me wrong, we don’t make intellectual music. We make music that can be well but with’sabor’ and meaning.”After hearing them one begins to understand the profound appreciation felt by the band towards this deeply rooted musical heritage: “Well Chico, it’s Cubania – that’s it. It’s Cuba. Without son Cuba would be Santo Domingo or any other tropical island. I don’t call it el son or’ the son’, I call it ‘they son’. A great writer and friend of mine, Danilo Orozco explained this to me. Son is mixed with everything. Fidel’s speeches: they’re son, Cuban literature: that’s son, Nicolas Guillen’s clave: that’s son. The sam form of the son is in everything. 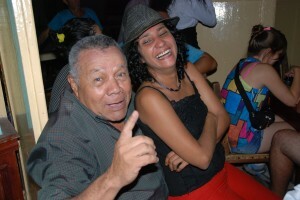 Notice how a Cuban tells you a joke, at the end they repeat the puchline three times. 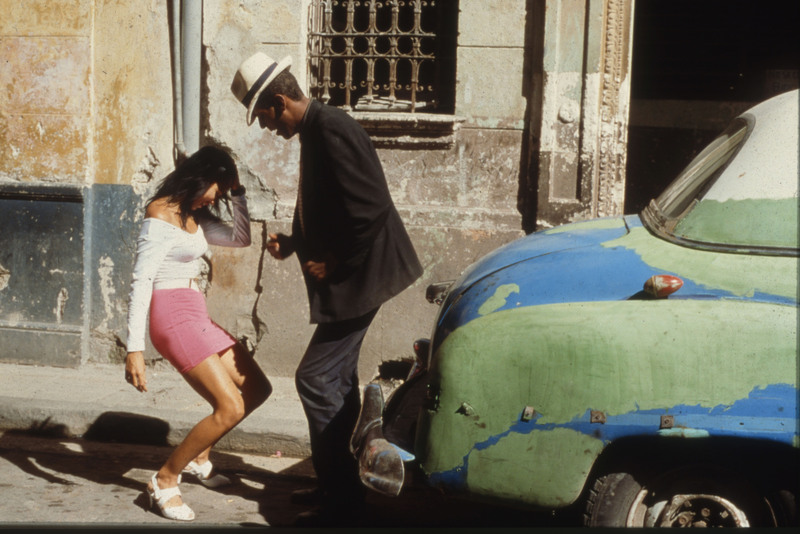 The Cuban is very rhetorical, when they speak they return to their point and keeps going back and going back. When Fidel starts a discussion and has his own point of view on the subject, he explains it and goes back and back and back again and in the end he explains it to you all over again. This is son. It’s like son music. It is in the subtleties of form.”Yet the ‘young rebels of son’ defend the musical legacy laid down by the likes of Beny More and Arsenio Rodriguez with a simple statement: “El son es lo mas sublime para el alma divertir, se deberia de morir quien por bueno no lo estime” – “Son is the most sublime thing, a man should die should he not care about it.”Press Quotes:”Young son rebels” – Straight No Chaser”Excellent dans le son traditionel, le septette elargit cependant son repertiore” – Liberation, France”Interpretan la musica cubana con honor a la verdad” – Gramma, CubaShort biography:Jóvenes Clasicos del Son are known as Cuba’s magnificent seven. Awarded the prize of Best Cuban Group of 1997 by the Cuban government they have had a string of hits in Cuba. They have been recognised by the international press as the best group from a new generation of young Cuban musicians and have collaborated in the past with Grammy Award winning Compay Segundo as well as with jazz supremo Winton Marsalis. Individually they have worked with members of another award winning band, Vocal Sampling, as well as working with Peter Gabriel among others.Led by the charismatic director and bass player Palma, formerly with Candido Fabre and incorporating two of the most sought after musicians, the singer Nene and the trumpet player Raudel, this traditional seven piece fully acoustic band defy the conventional format and take son to powerful and exciting new heights. Mixing Cuban son with the deepest elements of Cuban music together with soul, jazz, rap and funk this dynamic group is fast . 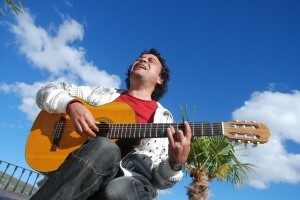 Jovenes Clasiocs del son has recorded three Cds with Tumi Music. David Alvarez his guitar and his seductive voice is his charm. After 20 years of playing with his band “Juego de Manos”, David now realizes the dream of his life and records his solo “Trova” album called “Clan Destino” Tumi 182. His compositions go back some ten years ego when I “Mo Fini” was sitting in Malecon in Havana and during the conversation I begged him to do a solo album of his Trova. Though he accepted there and then , then it took some ten years to realize his dream. Sadly just when we were half way through recording his one year old daughter fell ill with cancer of eye. After a suffering two years and the daughter losing the eye we went back to the studio to finish the album. We are all grateful for his work and prey for the quick recovery of his daughter.